We create unmatched corporate branding. Your brand speaks of your uniqueness and distinctiveness. In a chaotic marketplace with so much of competition, it is important for your organization to stand out from the crowd. The best way is branding. Your business logo and corporate identity present your story to the public. Your logo visually represents your brand. This is what we are here for. We are one of the best branding agencies in Dubai with a team of experienced designers. We create all the visual elements of your business such as business cards, logos, business letterheads and more to identify your business. Alcobyte serves businesses of all sizes with top brand strategies. You may want a new graphic design or correcting what you already have. We are here to help you with your graphics. Alcobyte branding services in UAE manages all the professional and technical aspects of brand development while keeping a strict watch to maintain your overall marketing creativity. Alcobyte being one of the best branding companies in Dubai, we keep ourselves up-to-date with what is happening in the global corporate market. 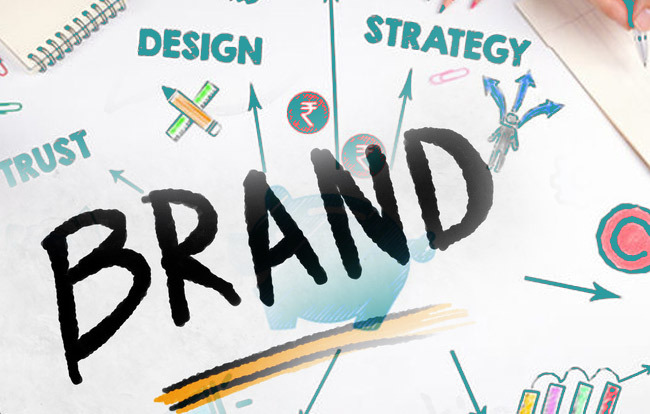 We consider your brand as an asset as well as a marketing stepping stone for success. We consider it our duty to do a careful deliberation to various principles and put your organization on the path for a successful online business. It is vital that your customers remember something unique that links to your business. Our brand design agency Dubai will create your brand’s identity to make it appealing and catch the eye of multiple audiences with varying needs. Alcobyte has earned its reputation by delivering quality and efficient logo designs at very competitive prices and top-class services. We will design a great logo that will have a powerful impact on the market. Our brochure designers team creates top-quality flyers, mailers, leaflets, graphic design catalogs, booklets and many similar services you may require for your business. With our experience and skills, we are capable of creating brochures that talk about your business with the outside world . We offer professional business card design solutions that are effective in reaching your target market. We will design and redesign till we get your concepts live. Let us together create cards that are not easy to forget. Alcobyte creates great letterhead designs. If you have run out of ideas, allow our designers to get you the best custom letterheads that will communicate your business. Do you want to work with one of the top brand design companies in UAE? We can design brands from the scratch or help you with your existing one enhancing its effectiveness. Consider our fee as a small investment for a profitable marketing campaign to retain your customers and attract new probable ones. Contact us now.